You never need to miss another protest. If smartphone technology makes it easier to moderate your personal life — from water consumption, to physical activity, to daily screen time — it also has the capacity to help you become a more engaged Global Citizen. Global Citizen is highlighting apps that give them the tools to engage with the global community with nothing more than a smartphone. It seems like each weekend, cities and towns across the United States have hosted a flurry of protests and demonstrations. Spearheaded by the Women’s March on Washington, people both young and old have taken to the streets and airports, have shut down bodegas, and organized dance parties, in support of immigrants, refugees, and other communities marginalized by the Trump administration’s executive orders. Now, there’s an amazingly simple way to educate yourself about protests going on nearby you with the click of a button. 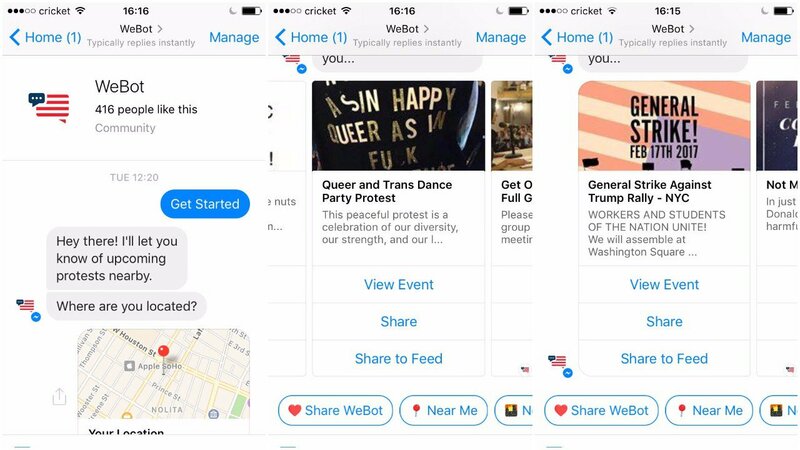 WeBot is an online messenger app that identifies and informs you of protests in real-time. Released last week, the app matches users with nearby protests by scanning local Facebook events and activities. All it requires is a phone with location detection services, and the Facebook Messenger app. The app was designed with the intention of maintaining public pressure on the Trump administration. "After the Muslim ban took effect, people's outrage led them to unify in the streets," Logan Bernard, cofounder of WeBot, told Mashable. "We saw this firsthand in NYC, and wanted to keep this rush of unifying energy going. 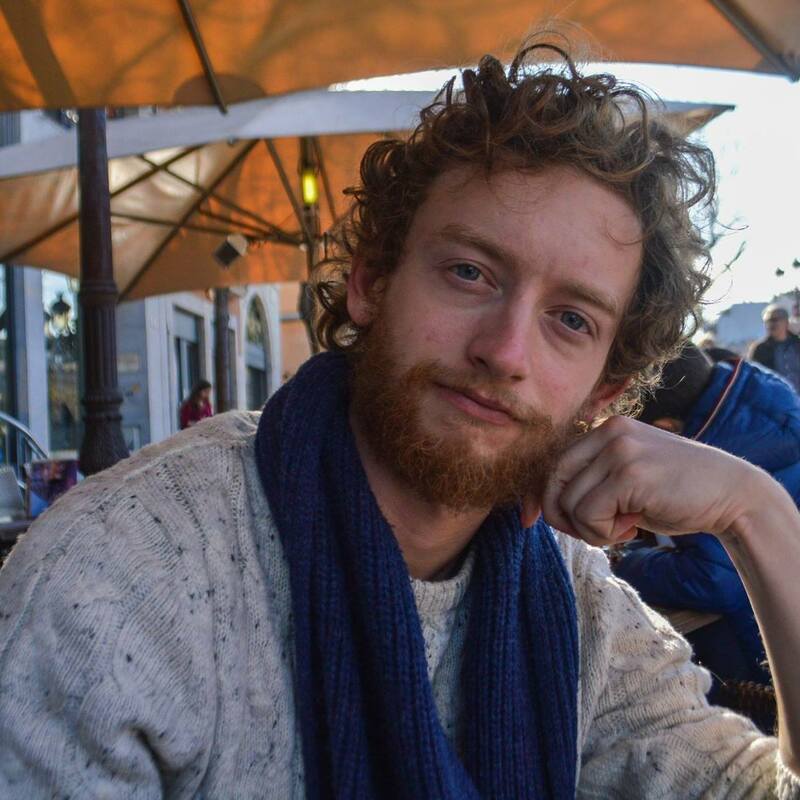 We felt we could contribute by creating a bot that helps people get organized," he said. Facebook and other social media services like Twitter have played a major role in supporting protest activity around the world. In the past decade, both the Occupy Wall Street movement and the Arab Spring relied on mobile technology for organizing mass protests in multiple cities at once. The Women’s March, which started as a simple Facebook event and spread to more than 4 million people worldwide, again illustrated the power of technology to bring people together and harness shared discontent. But, while informational apps like WeBot can help turn smaller events and rallies into mass mobilizations, in-person organizers still do the heavy-lifting. 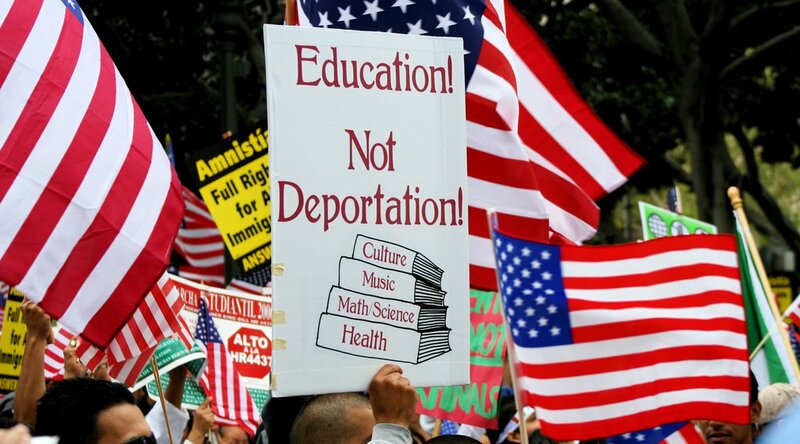 Going to one rally is a start. Sustaining that over a matter of months is where the resistance really finds its legs.